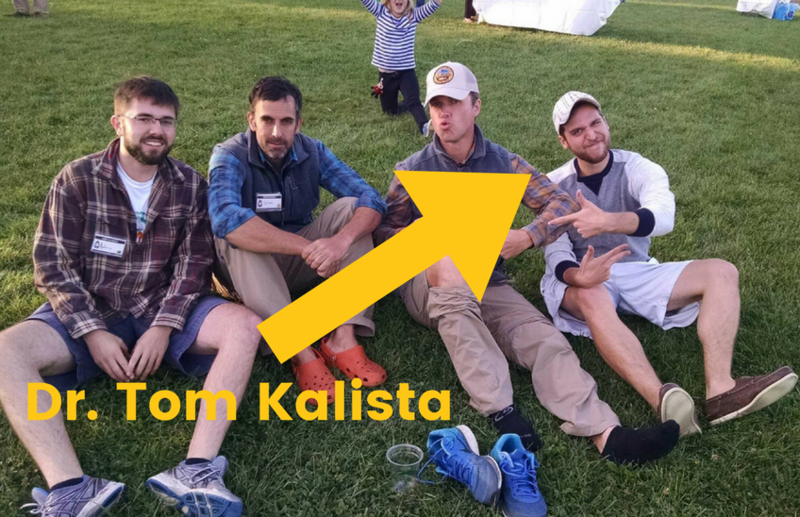 Meet your pharmacist, Dr. Tom Kalista! Having the opportunity to spend his career doing something that has a real-life, beneficial impact on people was what attracted him to pharmacy school (and it didn’t hurt that his mom is a pharmacist!). We spoke with Dr. Kalista to better understand, why pharmacy? My mother has been a pharmacist and worked in a pharmacy for as long as I can remember, so I have always been exposed to the profession. When I made my decision to go to pharmacy school, it was an opportunity to attain my PharmD, be done with pharmacy school after 6 years, and graduate into a field with sustainable, well-paying jobs—but mostly it was the chance to spend my career doing something that has a real-life, practical, beneficial impact on those I spend my time serving. Cheesy as it sounds, I get to help people and make a positive difference in their everyday lives. I am a pharmacist who refuses to allow any priority but the patient’s well-being take precedent. When asked, “As a pharmacist, what is your job?” I can never answer any five words but, “Take care of the patient.” That is what I teach all of my students—it has to come first and foremost, or else you irreparably betray the trust placed upon you by any person seeking your counsel. I would say my career path has been unique in a similar regard—no matter what setting I have found myself, it has undoubtedly been in search of a way for me to best take care of the patients I serve. It is most definitely a balance. I will often say that I am always on the clock—in a world where any email, text, or phone call is instantly accessible in your front left pocket, it is very difficult not to be—but at the very same time I will also say I am always off the clock. When something needs to get done, it gets done, and my job demands it get done as promptly and completely as possible, but when things are not imminently pressing, I make sure I take advantage of that time as well. Whether it’s spending time with family and friends, traveling, indulging various hobbies, or even just laying on the floor with my dog, I absolutely require that time to step away from work and recharge. Taking that break and making sure I get to do the things I enjoy allows me to then re-approach my work with refreshed enthusiasm and vigor. The balance—and the ability to properly balance all our conflicting obligations and desires—is critical. About 4 months after I started my current position, I remember a very distinct Friday afternoon. The honeymoon phase of a brand new shiny job had worn off, it was later on in the fall so the days were getting colder/shorter, and I was getting very near my wit’s end—just one of those days I needed to be over (fast). My last patient of the day came in, and I would be lying if I said I wasn’t immediately looking forward to the visit being over and my weekend getting started. By the end of the 30-45 minutes I spent with this gentleman, however, I could not have had a more drastic 180. Nothing earth-shattering occurred in terms of his therapy, I didn’t make any life-altering recommendation that completely changed this person’s world for the better, but after just meeting and talking to him, I left that day with a massive smile on my face, feeling like I could take on the world, and thinking to myself for one of the very first times in my life, “This is what I am meant to be doing”. It was more of a pragmatic decision in that regard at first—6 years of pharmacy school versus 8 years for med school (not to mention residency/fellowship/etc. )—but having learned all I have about pharmacy, and being fortunate enough to have grown my career into what it is today, I could not imagine how it might’ve gone better had I chosen another healthcare profession. To dovetail off my answer for the previous question, the breadth of opportunity that a career in pharmacy can provide is a criminally well-kept secret. I would have never imagined at 17 years old that at 28 I would have worked in so many different settings within the realm of pharmacy, and even still have countless alternative options unexplored. It is difficult to wrap your head around while still in school, but the possibilities for pharmacists—regardless of what stage you are at in your career—are truly extensive. Best piece of advice I have ever received is “know your audience.” Whether you’re counseling a patient or teaching a class or on a job interview or anywhere in between, know who you are talking to, and, more importantly, know how they prefer to communicate. Regardless of what you are trying to convey to another person, doing so in a way most conducive to their understanding is paramount. That all we do is count pills and label the bottle in which they get put. The image of “traditional” retail pharmacy is still around, but that’s not to say that it’s entirely a negative thing. Pharmacy’s reputation has been undoubtedly built on that paradigm, and we would be misguided to dismiss or demean it. Instead, I would elaborate by saying pharmacy has evolved. The well-established value of the pharmacist is still very much intact (if not enhanced), but also the full spectrum of healthcare services a pharmacist can provide has grown substantially. Interested in applying to pharmacy school? Check out the four things you need to do before applying.